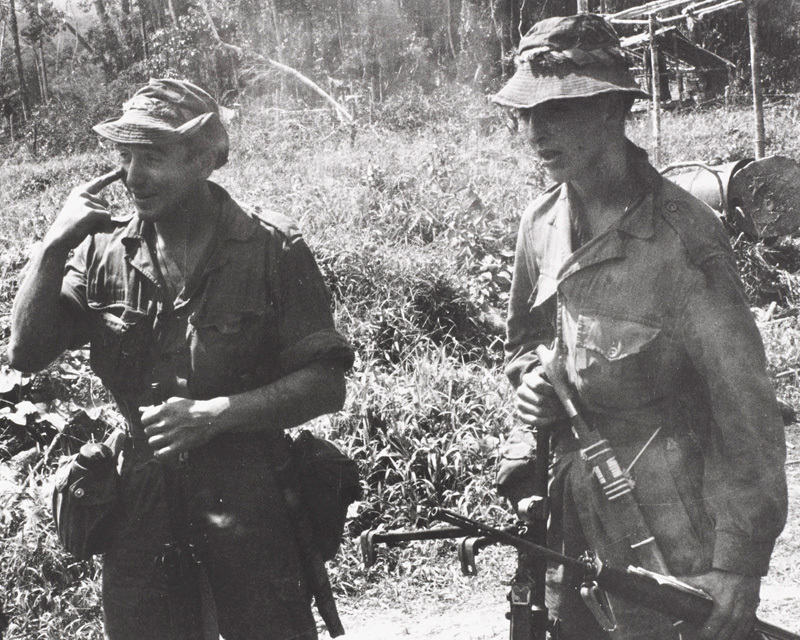 Between 1963 and 1966, British Commonwealth forces fought against Indonesia in a conflict that focused on the future of Brunei and North Borneo. 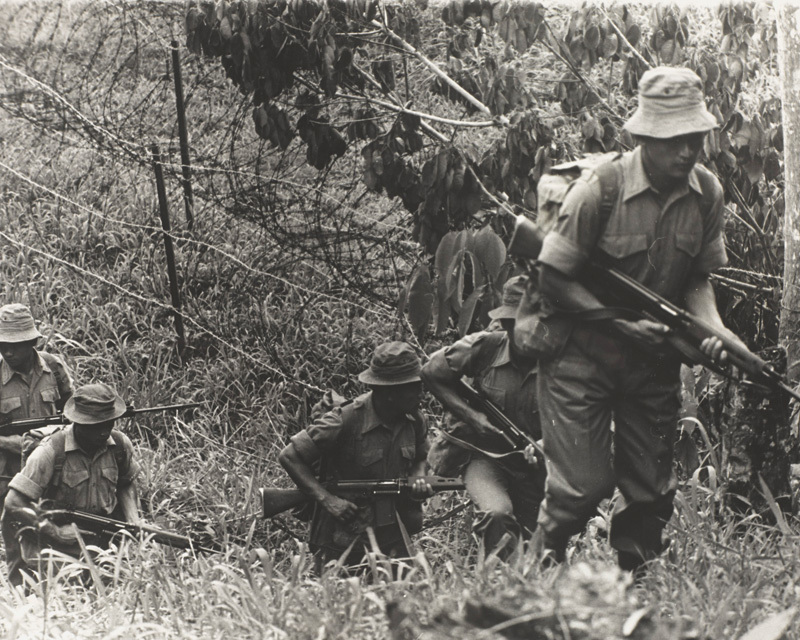 The fighting consisted of small-scale jungle clashes in the border areas, and ended in a victory for the Commonwealth. 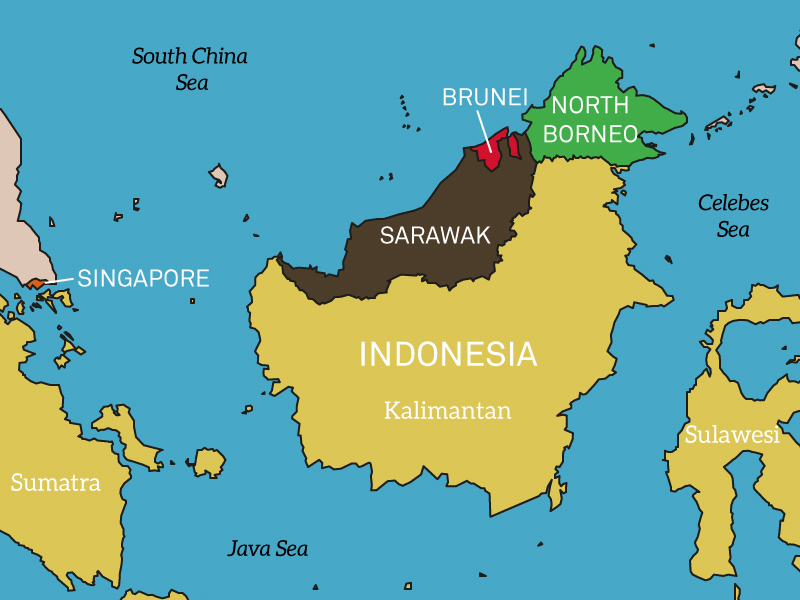 In 1962, northern Borneo consisted of the British protectorate of Brunei and the colonies of Sarawak and North Borneo (later known as Sabah). The rest of the island was made up of the Indonesian provinces of Kalimantan. 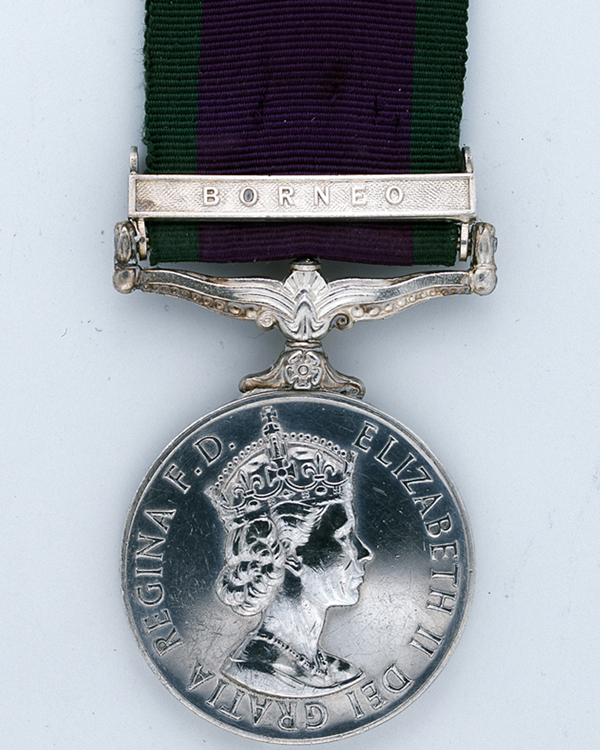 Britain hoped to incorporate Brunei, Sarawak and North Borneo - all close to independence at that time - into the Federation of Malaysia, along with Singapore and the states of the Malayan Peninsula. However, President Sukarno of Indonesia was wary of continued British influence in the region. He wanted to extend Indonesian control on the island by adding these territories to the rest of Kalimantan. On 8 December 1962, pro-Sukarno rebels, known as the North Kalimantan National Army, tried to capture the Sultan of Brunei who called on the British for help. Within hours, two companies of Gurkhas had been airlifted in from Singapore. Over the next few days, other units joined them, including the Queen's Own Highlanders and 42 Royal Marine Commando. 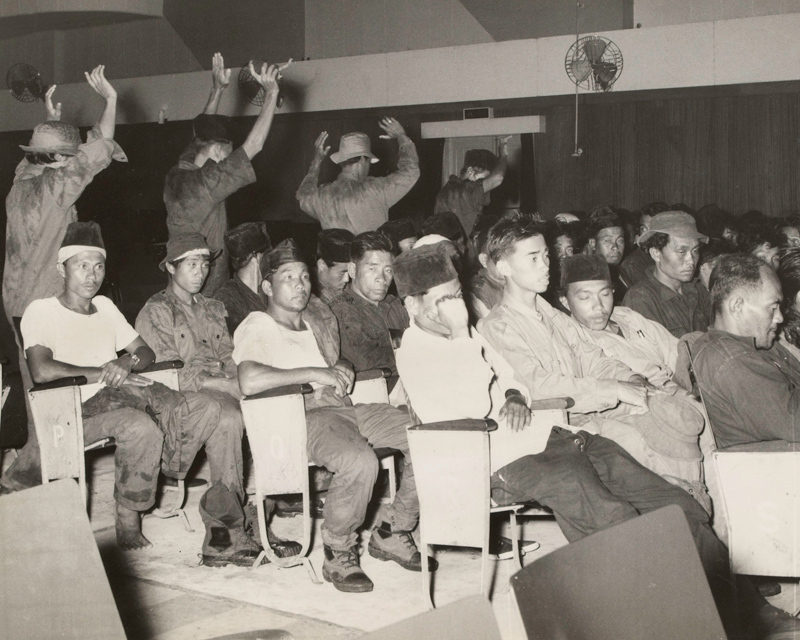 After rescuing a number of hostages and securing Brunei's key strategic points - such as its radio stations, government buildings and oil refineries - the rebellion was easily suppressed. 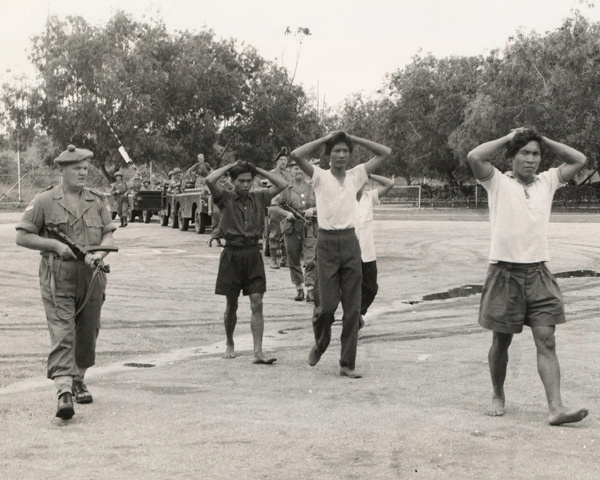 In April 1963, hoping to intimidate the local population, Sukarno authorised cross-border incursions into North Borneo by so-called volunteers. Five battalions of British and Gurkha troops, under the command of Major-General Walter Walker, were committed to defend a frontier that extended for nearly 1,000 miles of jungle-covered mountain. Walker had experience fighting the Japanese in Burma and the Communists in Malaya, and he was quick to put the lessons learned in those campaigns into effect. A keen advocate of the use of helicopters in modern military operations, he set out to dominate the jungle by patrolling and placed great emphasis on the gathering of intelligence. Medical and agricultural projects were initiated to win the ‘hearts and minds’ of the local population. Locals were also recruited into an irregular force known as the Border Scouts. In September 1963, Sukarno committed Indonesian regular troops to the conflict. Their tactics were to cross the frontier in bodies of up to 200 men and establish bases in the jungle. Walker responded by setting up bases of his own near the border, which were supplied and reinforced by helicopter. He also received permission to mount secret cross-border raids into Kalimantan to pre-empt Indonesian attacks. By the time Walker handed over command to Major-General George Lea, his force had been increased to 13 battalions of infantry, the equivalent of a battalion of SAS, plus artillery and engineer support. Troops were provided by Malaysia, Australia and New Zealand as well as Britain. All eight battalions of Gurkhas were engaged in the confrontation and once again showed their value as jungle fighters. By late 1965, the Indonesians had lost control of the frontier. They were further undermined by internal strife. In October 1965, the Indonesian army crushed an attempted coup by the Indonesian Communist Party, the main supporters of Sukarno. The following March, the anti-Communist General Suharto overthrew Sukarno. He then withdrew Indonesian forces from the border areas and signed a treaty with Malaysia in August 1966. The confrontation was over. It had claimed the lives of 114 Commonwealth personnel and wounded another 180. Nevertheless, it had been a striking success for Britain’s new all-professional army. 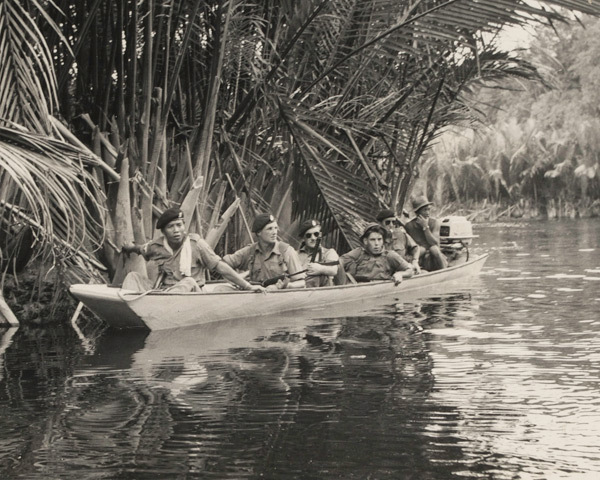 The Malayan Emergency (1948-60) was one of the few successful counter-insurgency operations undertaken by the Western powers during the Cold War. The Kenya Emergency, or Mau Mau Revolt, was one of the British Army's bloodiest and most controversial post-war conflicts. In the early 1950s a revolt in favour of union with Greece began in British-controlled Cyprus. British troops remain on the island to this day as part of a United Nations peacekeeping force. Troops were sent to Northern Ireland in 1969. They ended up staying there for nearly 40 years in what became the British Army's longest ever deployment.